These Bill Cosby quotes and jokes are hilarious, eclectic and most of all - awesome. It's hard to boil the best of these Bill Cosby quotes and jokes down to the best since his career has spanned over 50 years. He has forgotten more jokes than more comedians will ever hear. But we did our best to put together a gallery of the cream of the crop. And if you like these, you should check out our Bill Cosby comedian page for tons more videos, quotes, memes and photos of the man himself. But enough from me, check out these hilarious quotes. The weatherman is always right. It's just his timing that's off. My father would pass gas and then blame it on imaginary animals. Keep reading these hilarious Bill Cosby quotes and jokes! Nobody ever says, "Can I have your beets?" My father would pass gas and then blame it on imaginary animals. Keep reading these hilarious Bill Cosby quotes and jokes! When you're a father you censor yourself. You get just as angry with a child but you don't want to say, "What the filth and foul and I'll filth and foul, filth and foul and, yeah, ya filth and foul face, and I'll filth and foul, foul, filth!" You don't want to say that to a child so you censor yourself and you sound like an idiot: "What the... Get your... I'll put a... Get out of my face!" Keep reading these hilarious Bill Cosby quotes and jokes! Man can not live by bread alone ... he must have peanut butter. Keep reading these hilarious Bill Cosby quotes and jokes! Through humor, you can soften some of the worst blows that life delivers. And once you find laughter, no matter how painful your situation might be, you can survive it. 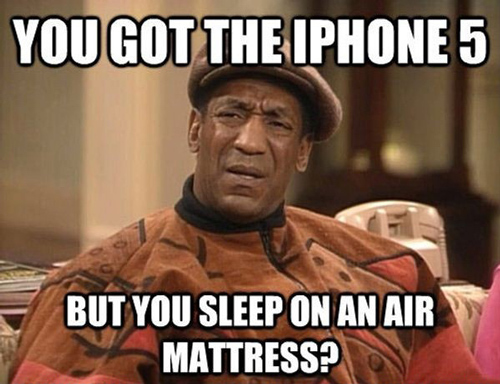 Keep reading these hilarious Bill Cosby quotes and jokes!